The English Language program started in 2010 with one teacher and about a dozen students. Now we have five teachers andover 400 students from grades 4-9. 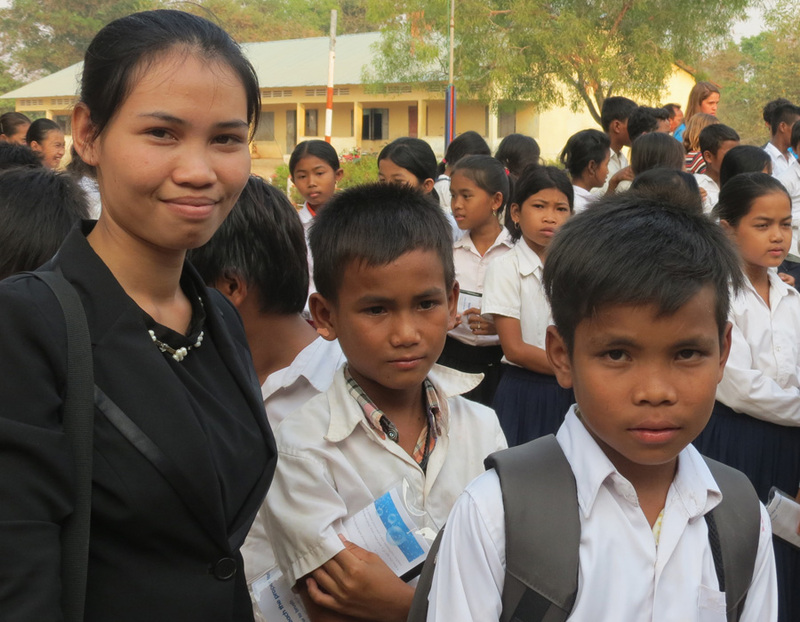 The students come voluntarily every day after school to learn English. 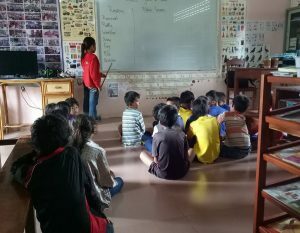 Our five teachers conduct the hour-long classes in the Kaun Khlong Primary School. 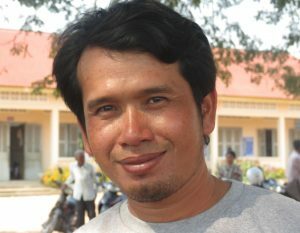 Chan Ngoeurn Theourm manages the program and is also one of the teachers. The students have access to a language lab/media center in the Siskowic Learning Center. The program costs about $6,000 a year – not bad when you consider a child is learning English for just a little over $25 a year. 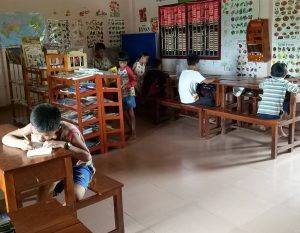 English is critical in Cambodia. When students can speak English, they increase their chances of finding a good job and having a brighter future. Chan Ngoeurn Theourm was born in Kaun Khlong Village in 1985. He attended Kaun Khlong Primary School and Sangke High School. 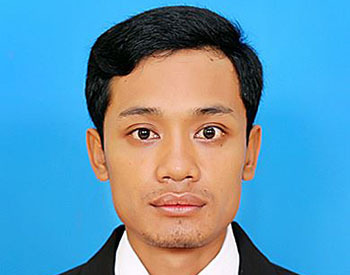 He graduated from the University of Management and Economics (UME) in Battambang with a degree in English. In addition to teaching, he also is the manager of the program and the Media Center. 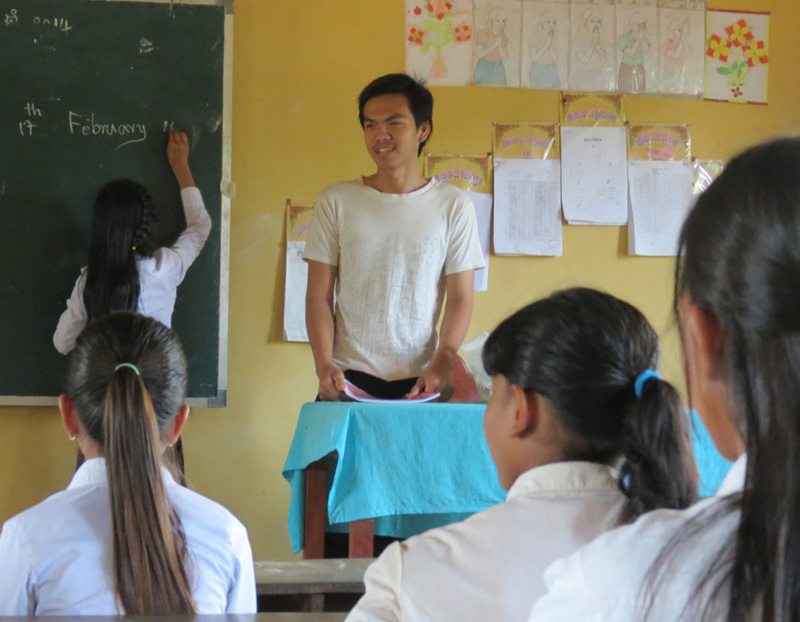 Before becoming an English teacher he was project manager for our clean water program. Sreynoch Phoun was born in 1991 in Kaun Khlong Village and graduated from Sangke High School in 2010. 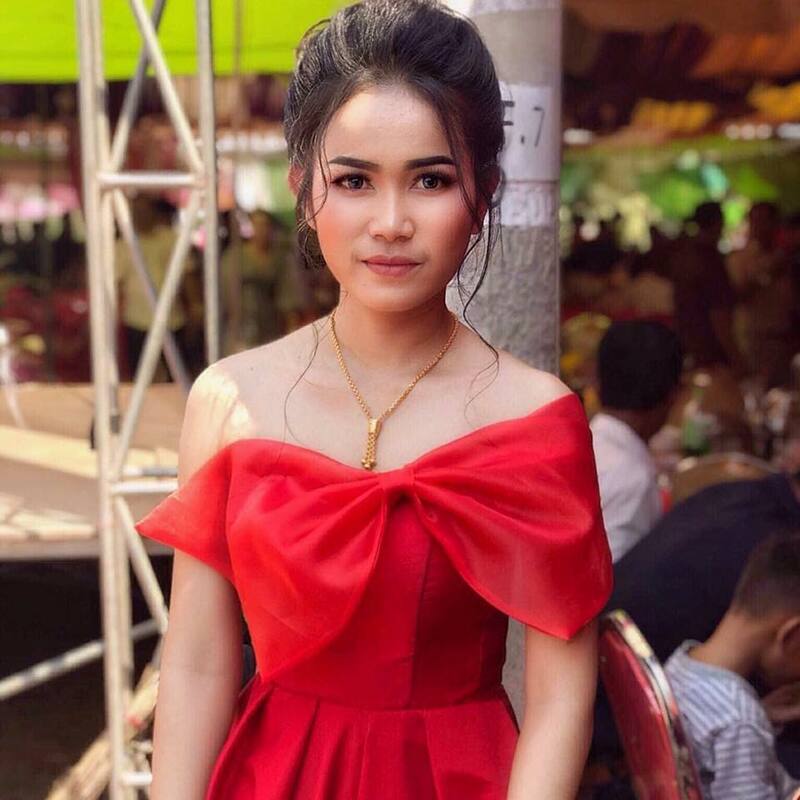 She graduated from the University of Battambang with a degree in accounting in 2017. 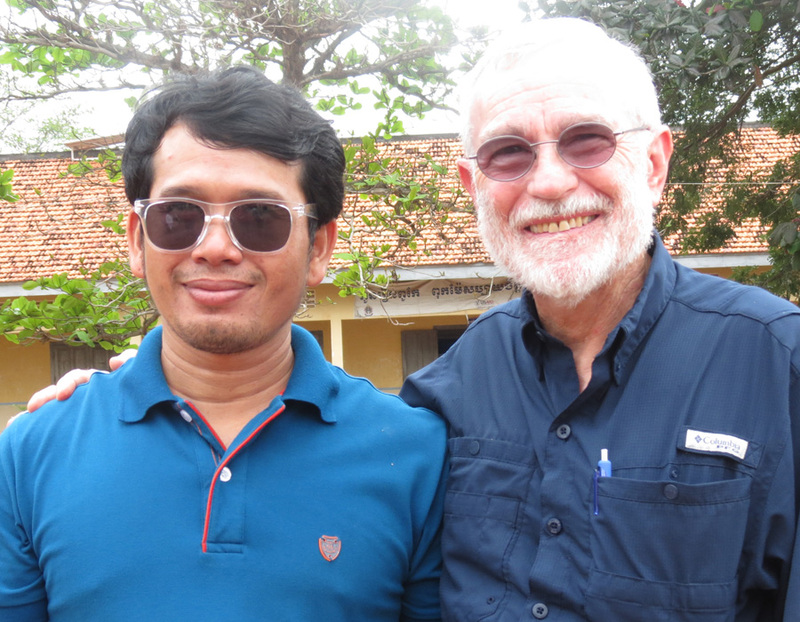 In addition to working for us, Sreynoch also teaches English at Cambridge International Academy. 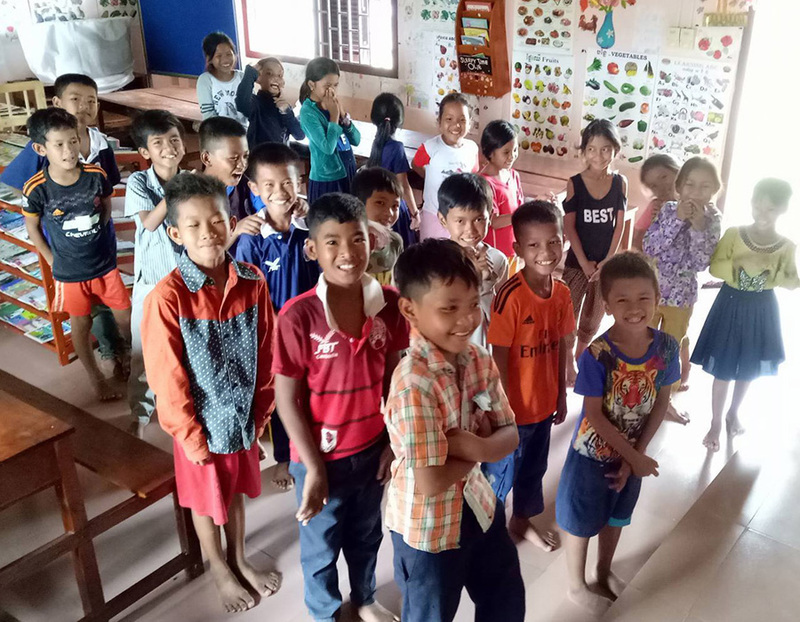 Sitha Sor, born in Kaun Khlong, joined our program in October 2017. 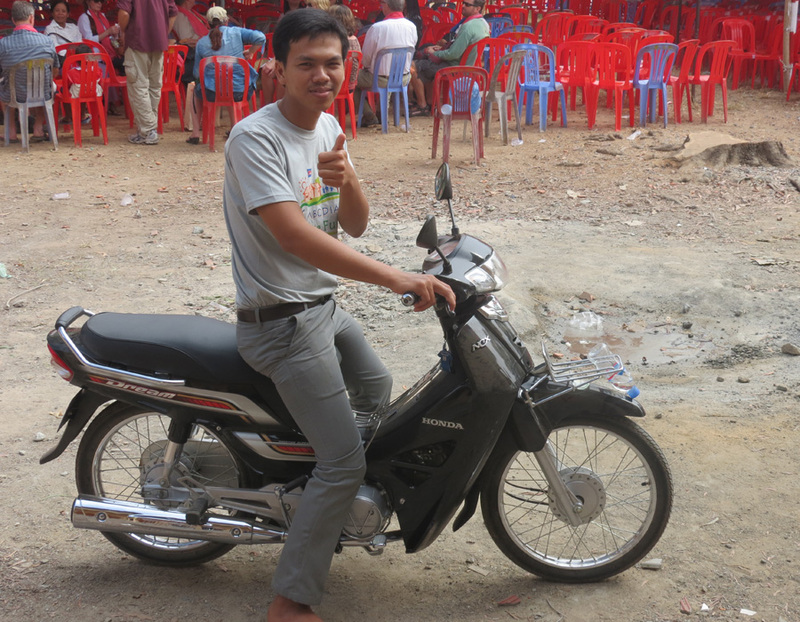 He is a third-year student at the University of Management and Economics in Battambang. 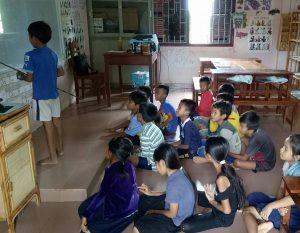 He also teaches English at Bright Knowledge International School (BKIS) and was a volunteer English teacher for HDLF, an NGO in Battambang. At HDLF Sitha was in charge of the computer lab and taught computer skills. He is single and currently lives in Kaun Khlong Village. 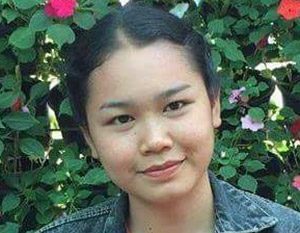 Sreynich Hang, born in Battambang in 1999, is our youngest English teacher, joining our program in March 2018. 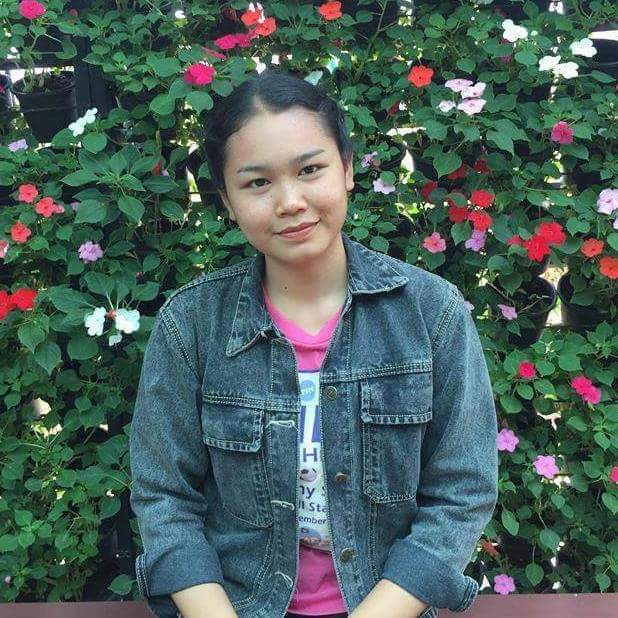 Sreynich grew up in Kaun Khlong Village and graduated from Sangke High School in 2017. 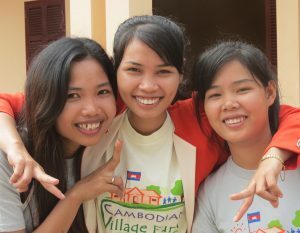 She is studying Management and Business at Build Bright University in Battambang. She is single and lives in Kaun Khlong Village. Sreysith Chhon is our newest English teacher, starting in January 2019. 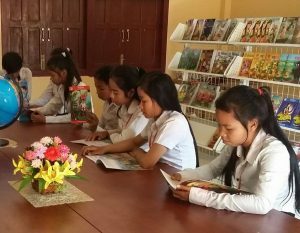 Born in January 1998, Sreysith graduated from Preah Monivong High School in 2016 and attended Build Bright University in 2016-17. 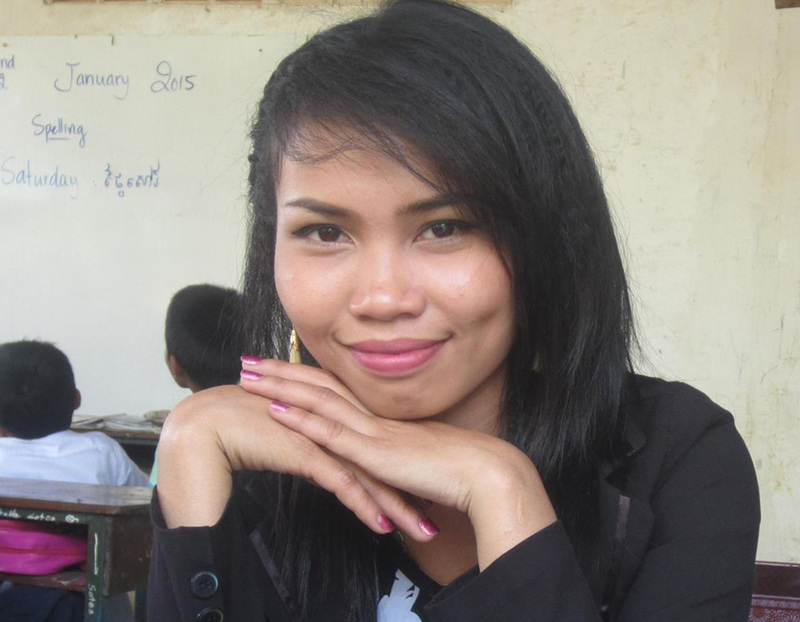 She teaches English to primary school students at U.S.A. International School in Battambang. 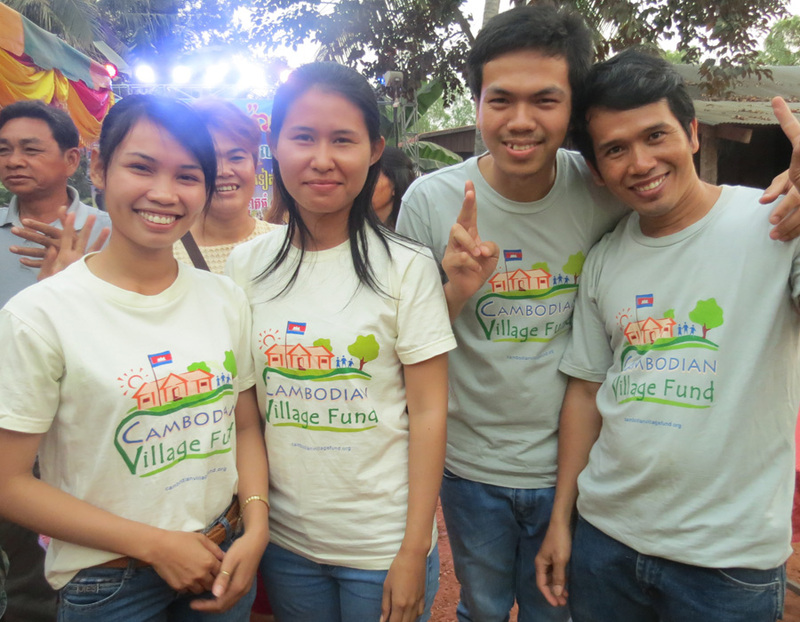 Sreysith received a Cambodian Village Fund scholarship from 2010 to 2017. 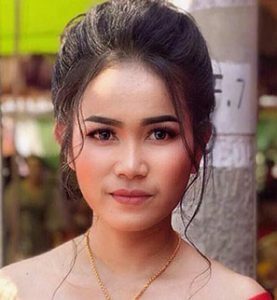 She was married in November 2018 and lives in Kaun Khlong Village with her husband. With improved English language skills, Cambodians will have more and better opportunities to compete in the job market.